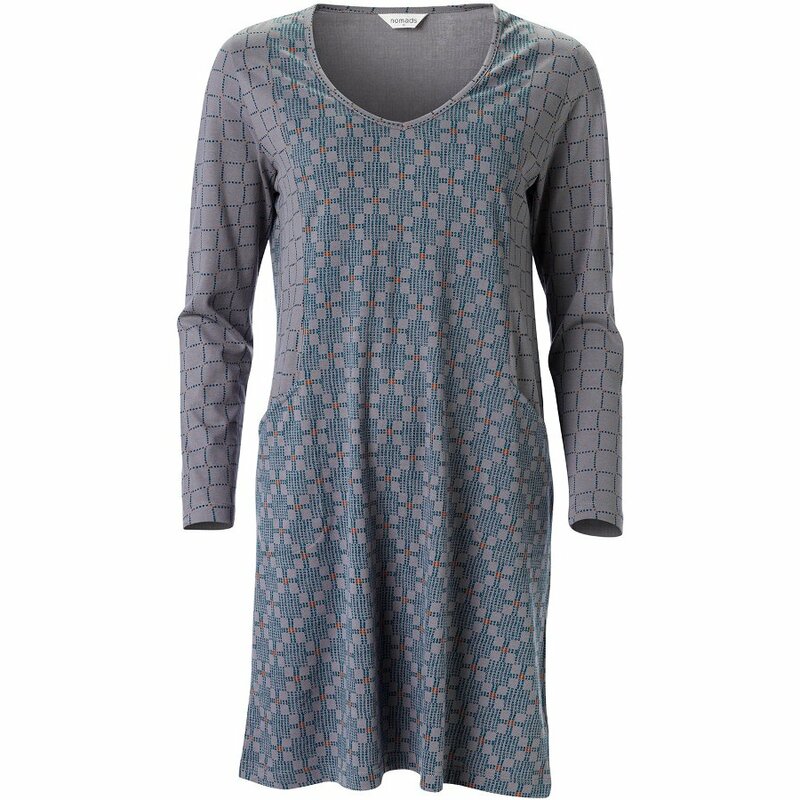 Enjoy a cosy night’s sleep in this gorgeously soft organic brushed cotton nightie with long sleeves, pockets and interesting contrasting prints. The V-neck nightdress falls just above the knee and is great for lounging at home, a great gift or treat for yourself. Produced with azo-free dyes and suitable for vegans. Nomads use organic cotton because it is kind to the environment, with the soil needing less water and maintaining a good level of fertility. Because organic cotton is grown without the use of harmful chemical pesticides and fertilisers, it is a healthier option for farmers as they are only handling natural materials. 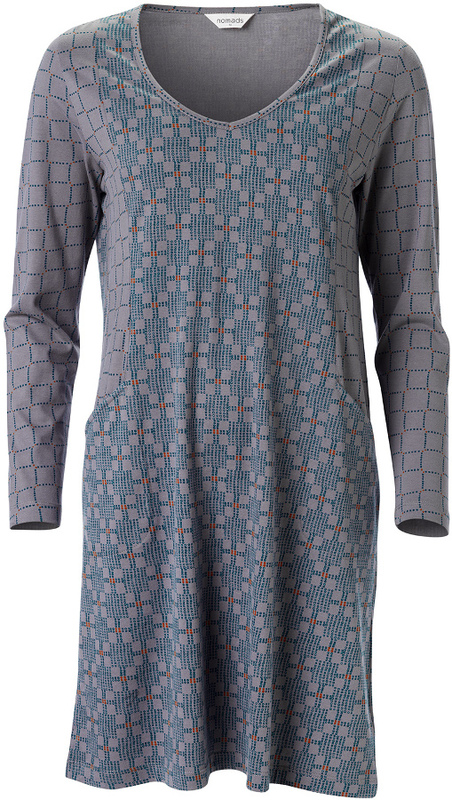 There are currently no questions to display about Nomads Printed Nightie - Silver.